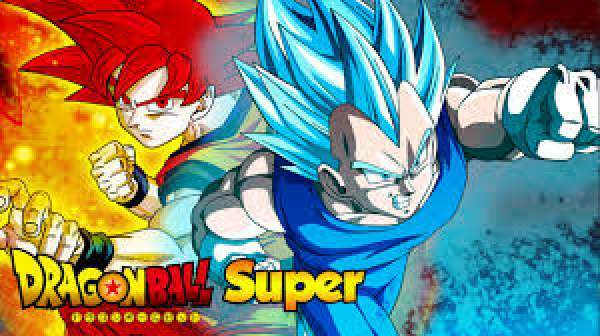 Dragon Ball Super Episode 101 Spoilers, Air Date, Promo: Next week, we are going to see DBS ep101. The universe 11 will attack Goku & company and as a result, it will add more drama to the anime series. 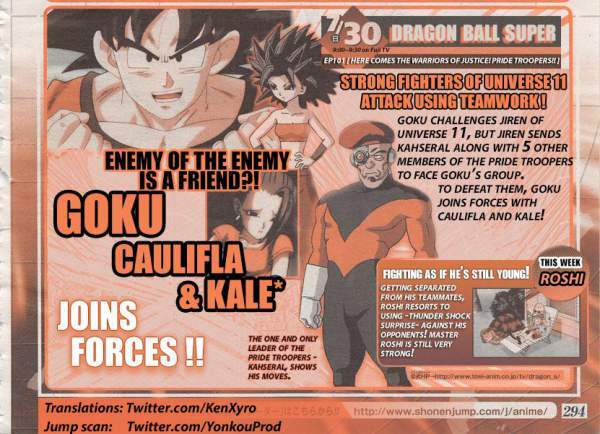 Goku will team-up with Caulifla and Kale at a certain point in the show. Turtle Hermit will be seen fighting and more. The upcoming segment is titled ‘The Warriors of Justice Close In! Pride Troopers!’ The official synopsis reads the following “the mighty warriors from Universe 11 will end up attacking with teamwork”. A report says that Goku will challenge Jiren from the Universe 11. But, Jiren has other plans in mind. So, he will not engage in a fight with Goku. Jiren will send five of his Pride Troopers comrades including Kahseral to defeat them, Goku & team. As a result, Goku will have to team with Kale and Caulifla. Let’s see if Goku will be able to utilize this move. Irrespective of what really happens, it looks like that he would be able to capitalize the moment. One more thing is sure that we would get to see at least one dramatic set of scenes out of the fiasco. One report said that Turtle Hermit will be seen engaged in some extreme fight at some point. At one moment, he will be away from his comrades. So, he will have to deal with the enemies on his own. As the description tells us, he won’t face any big problems. He will get out of the tricky situation by paralyzing his opponent with the Bankoku-Bikkuri-Sho and then he will get reunited with his team. It sounds that the fans will get to see some more action and dramatic sequences in the series. We have got some more info regarding the end of Todd. It’s exactly the same as mentioned in the article. Share your thoughts and views with us and other readers via commenting below. Stay tuned to The Reporter Times for more news. Frieza will ask for a wish to be stronger than zeno… 2nd possibility seems to bring a lot of action with it.